It was difficult to leave the spectacular ice of the glaciers in El Calafate. At least I could share my photos with friends, via FB and my blog. But I still looked forward to the next stop on my Patagonian excursion –a trip to Ushuaia, called “El ciudad del fin del mundo” — city at the end of the world. My travelling companion and I spent three days visiting Ushuaia, cruising the Beagle Channel, touring the Parque Nacional de Tierra del Fuego, with its snow-capped Andes mountains, dense forests, and the confluence of the Atlantic and the Pacific Oceans. 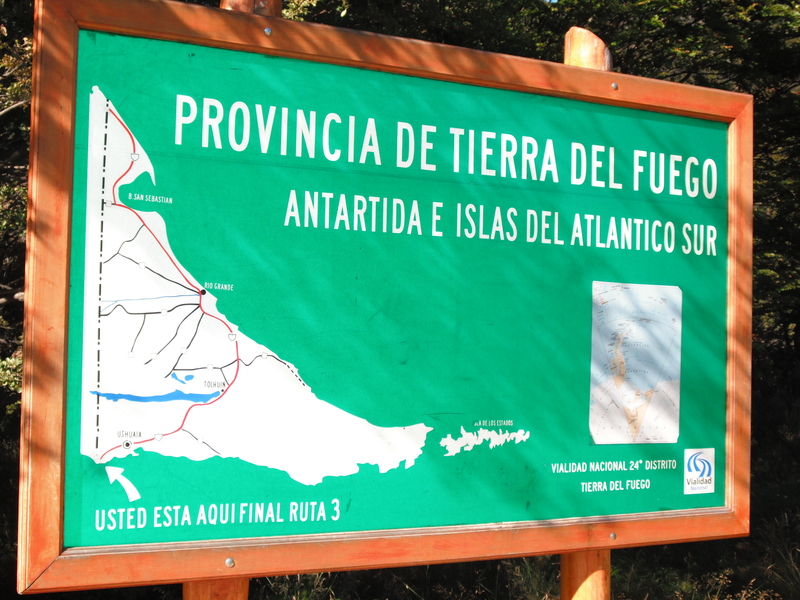 Tierra del Fuego got its name (land of fire) from the explorers who first saw the fires of the indigenous Yámana people in the 1800’s. Just north of Tierra del Fuego (the largest of the islands) is the Strait of Magellan and south of it is the Beagle Channel. We cruised the Beagle Channel one warm, sunny afternoon—atypical weather for this usually windy, cloudy, cold place—stopping to enjoy the sea lions and cormorant birds sharing the Sea Lion Island (Isla de los Lobos). The channel is home to what people mistakenly refer to as the “faro del fin de mundo”(the Lighthouse at the End of the World, made famous by Jules Verne’s novel of the same name), but which is really the Los Eclaireurs Lighthouse. Highway Rte. 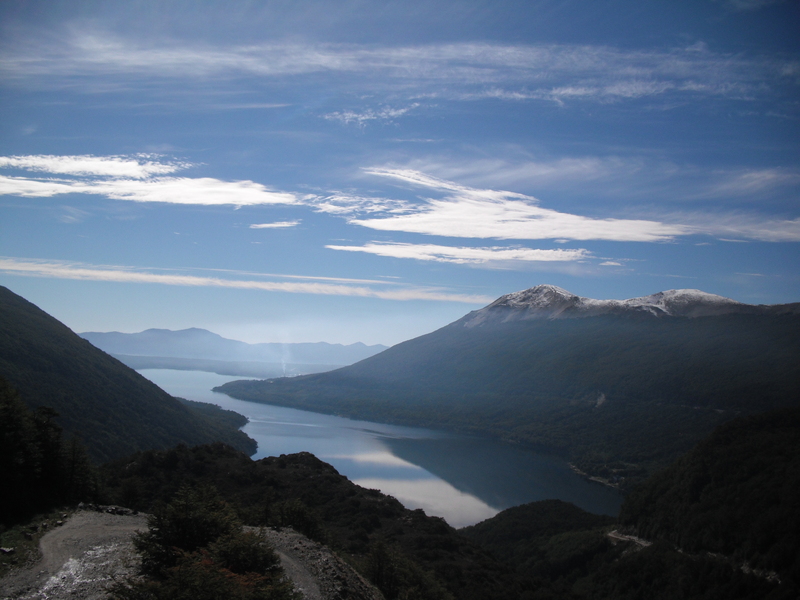 3, which runs the length of Argentina, ends in the Tierra del Fuego national park, where we hiked one afternoon, after enjoying a delicious lunch of grilled Patagonian lamb (cordero) at a restaurant inside the park. Wow! Makes me want to visit there. Beautiful photos. Wow–what a place to be hungry! Not to mention the foot of the world. I was expecting treacherous sailing at the end of the world…not such beauty and civilization. The best part of sharing this with you DeeDee is that I know you are truly enthralled by what you see–the gift and the giver are interchangeable.